If you had not heard, Mister Domestic has been having a Blog Party for his newest fabric collection for Art Gallery Fabrics, Aura. This collection is just lovely! 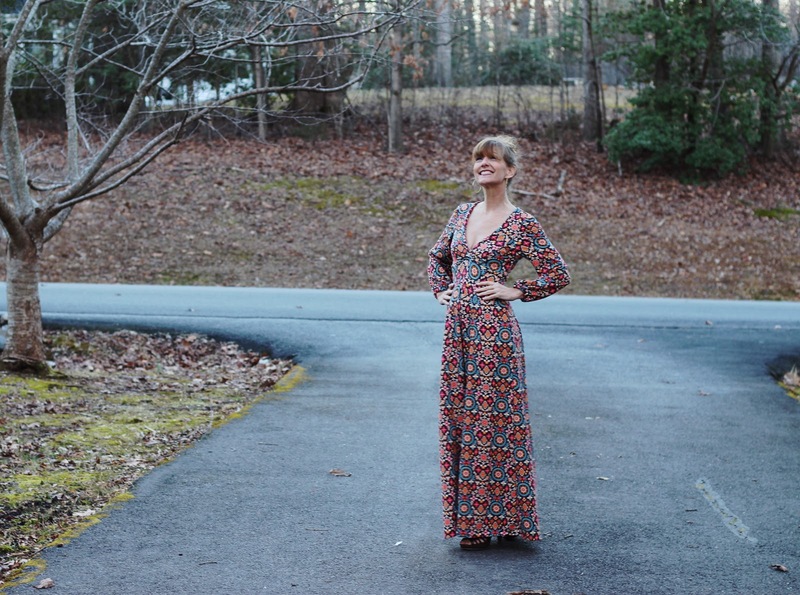 It is all of Mathew fun, loving spirit wrapped up in a cotton substrate! 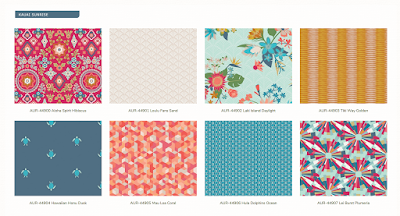 My original plan was a different quilt, when I realized that I had made a mistake on the fabric math, it was time for a design change! Here is my Sweet Baby James quilt! 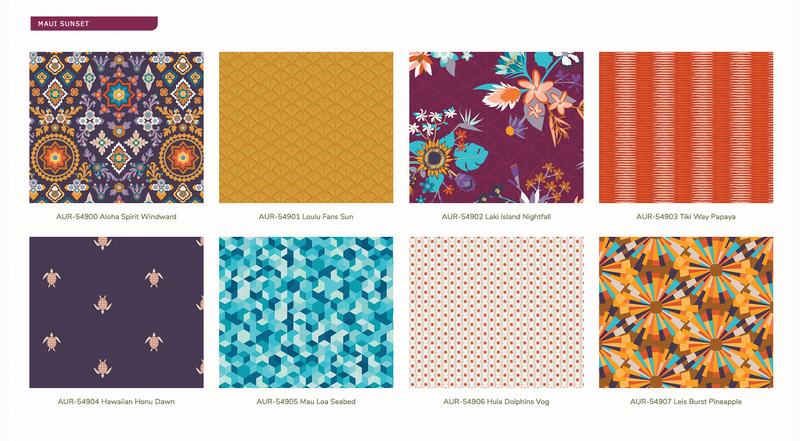 The Aura Collection has a beautiful variety of 16 fabrics, and I wish I had requested all of them! The Sweet Baby James quilt is a foundation string quilt and was from start to finish one day! The total size is a generous 49x49. 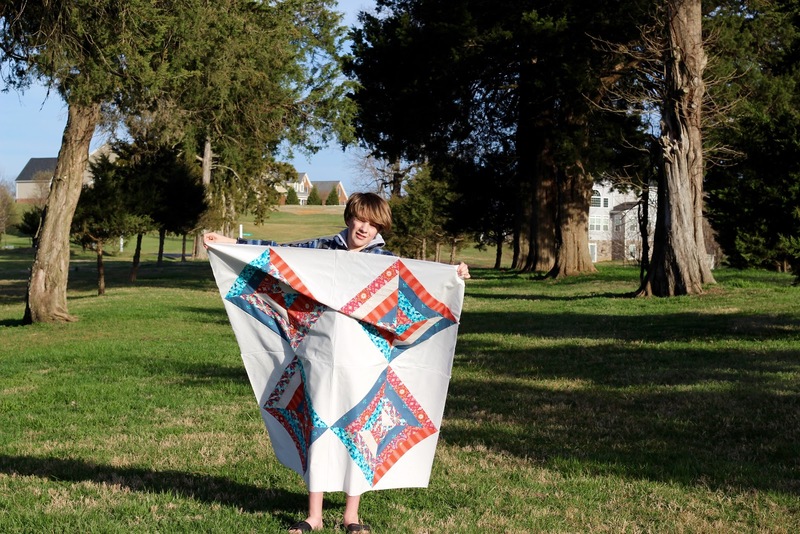 The kid holding it is over 5 ft tall and makes the quilt itself look kinda small. We had many starts and stops. Some camera malfunctions and other issues ( I was taking away from his Fortnight game (meanest Mom EVER!). Truth be told, I know I am the luckiest mom ever to have these helpful hands! And just look at that face! I love him!!!! The colors were so bright, they just blow you away! No shrinking violet dark colors in the bunch! The quilting plan is next. Simplicity is where it's at! 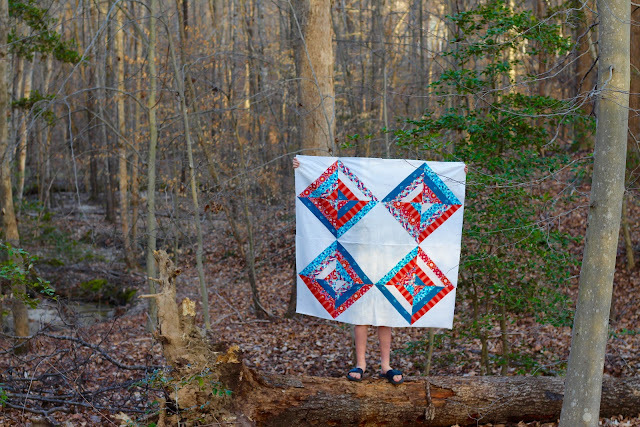 Straight line or grids would be perfect for this utility quilt. I pushed the limits a little and also asked him if he would help me out to see if this scene would be better. I know I owe him a treat or something. Kids and helpers for photos are the best! Also, If you missed the last thing I made for the Aura Blog Party ( yes I signed up twice), it was the Magnolia dress, pattern by Dear and Doe and the drop dead gorgeous Aloha Spirit Luau knit! 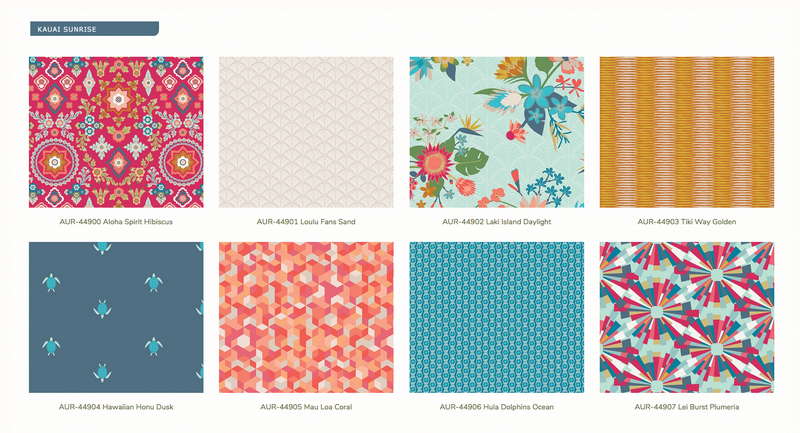 And, for goodness sake, make sure to visit all of the other fabulous Aura Blog Party goers! Mathew really knows how to throw a party!!!! Thank you for inviting me Mathew! Yay for quilt holders! 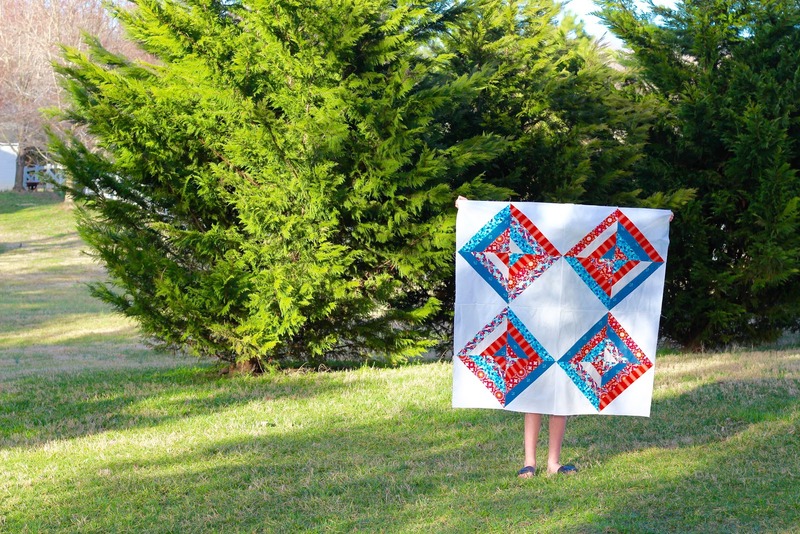 No one would look at this great quilt and think it was the Plan B. Hard to decide if the quilt or the dress is a better finish, they are both fab. and yes, that face is adorable. I have not done paper piecing before is there a pattern for these squares? What an amazing quilt and dress, Kim!! 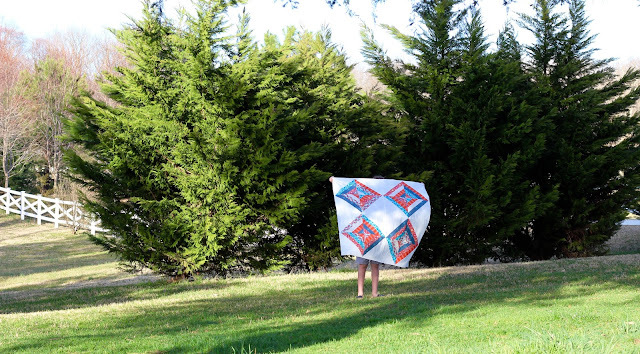 I have a quilt that was made for me by a friend, and I treasure the time that is in it!! PS..I'm so excited to meet your through the FF FB group!! I"m so glad you joined!! I'm assuming you know Anita? ?